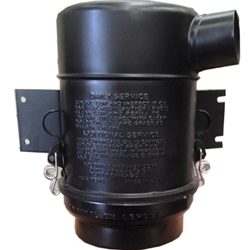 Air Cleaner Assembly Oakes with embossed data plate. These are new production for 12/2014 and made just like the original units. This is the part which was used on the majority of all WWII jeeps. The early Oakes used a separate embossed data plate which was spot welded on. These are avail too.